Everyone knows the phrase, “Man’s best friend,” when it comes to dogs. Over the thousands of years that they have existed, dogs they have repeatedly proven themselves as a genuine friend that cares about our well being. Whether it’s providing simple comfort on a day where we’re struggling, or just going for a walk with us on a sunny afternoon, dogs are always willing to be our friend when we need them. Josh Billings once famously said, “A dog is the only thing on earth that loves you more than he loves himself.” Even though we haven’t been able to prove that dogs love us, their behavior and loyalty to us say legions more than any scientist ever could. What do we as humans get out of this relationship other than a best friend? Could it be possible that owning a dog is good for your health? The answer to that question is yes! 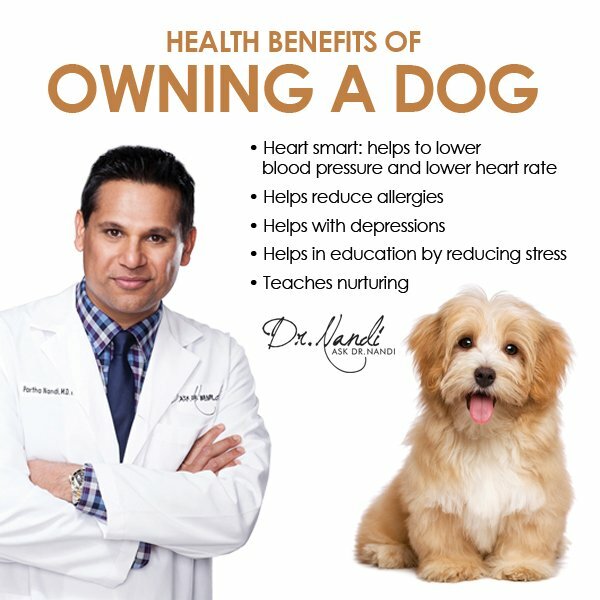 Owning a dog has many possible health benefits that may be a surprise to many! Dogs give us companionship, friendship, and loyalty. They love us unconditionally and they seem to be there when we need them the most, but what has science said about the health benefits of having a dog in the household? Can owning a dog make us healthier and happier? Researchers have discovered that owning a dog is being heart-smart. Science has found that owning a dog can help to lower blood pressure and lower heart rate. Recently a Chinese study found that people who own dogs get better sleep at night and are sick less often. There are studies that have found that pet owners have slightly lower cholesterol and are more likely to survive a heart attack. Owning a dog also creates more time for exercise. Dogs should be walked a few times a day which helps dog owners achieve the recommended 30 minutes a day of exercise suggested. These walks help dog owners in lowering their risk of cardiovascular disease and keeping them in better overall shape than cat owners or people without pets. Even though many people are allergic to dogs and their dander, research is showing that people who grew up in a house with dogs tend to not get allergies as much as those without dogs in their lives. Some studies are suggesting that even being around dogs when in the womb assist in lowering the chances of being allergic to dog hair and dander or to develop eczema as an adult. 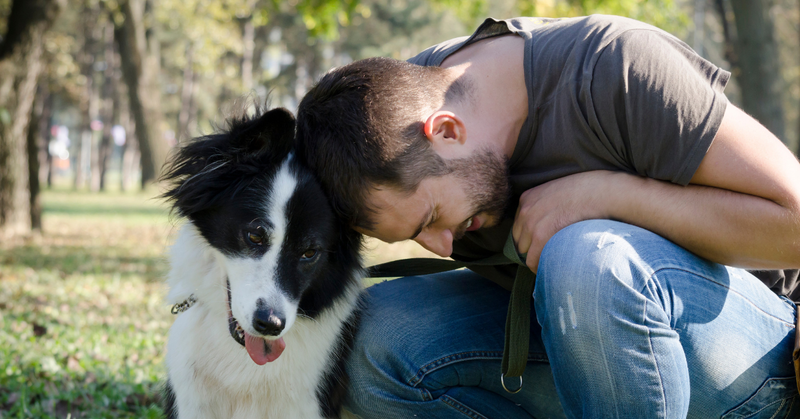 Dog owners are less likely to suffer from depression. Owning and playing with a dog can elevate levels of serotonin and dopamine, the nerve transmitters that are known to have pleasurable and calming properties which can help people in stress mode. 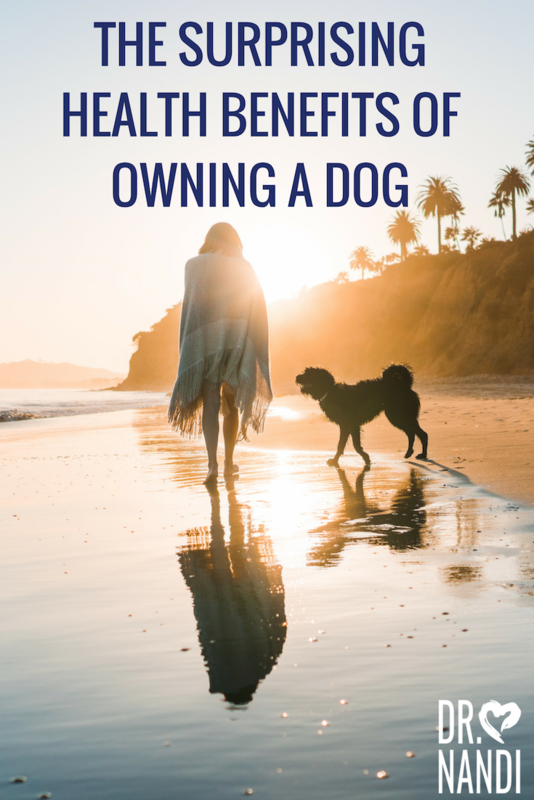 Research has studied how owning a dog can help stop the body from releasing harmful chemicals like cortisol and norepinephrine which can negatively affect the immune system. We have all heard about the benefits of dogs in the classroom with developmentally challenged children but now researchers are finding that dogs can help all kids with learning. In one study, children were asked to read in front of a peer, an adult, and a dog. Researchers monitored their stress levels and found that kids were most relaxed around the animal, not the humans. Scientists believe that the relaxation makes it easier to focus and feel less stressed which makes it a more enjoyable activity. Psychologists believe that owning a dog helps to assist in the learning of nurturing. There is a belief that in our industrial world, there is less nurturing done between siblings which means as a person gets older, they haven’t developed that skill as much as before. Owning a dog helps to create a practice of being a caregiver at a young age. Researchers have found that n nurturing a dog is especially important for boys because taking care of an animal isn’t seen as a ” feminine” act. It is important for boys to understand the need for being able to take care of another creature. By age 8, girls are more likely to be involved than boys in baby care both inside and outside their homes, but when it comes to pet care, both genders remain equally involved. Researchers believe this will help to create more attentive fathers. There are many other health benefits that owning a dog can bring, such as helping combat allergies in children. But the biggest benefit a dog can bring you is their companionship. A dog will be a partner to you for as long as it lives. They may be a part of your world, but to them you are their entire world and they’ll treat you that way. Dogs are wonderful emotional support animals that have proven they can help prolong your life. They can teach important lessons that we will remember for our entire lives. They truly are man’s best friend.